How to do link building for my website ? Over the last few years the SEO landscape has changed dramatically. With terms such as white hat and black hat being thrown around and methods once considered best practice now deemed unethical, it is no surprise that new webmasters are left confused and unsure where to start. Link building is an ethical SEO practice, providing it is carried out the right way. Somewhere down the line, the method of link building got caught up in the world of black hat SEO or for those unfamiliar with the term, unethical SEO. However that’s not to say you cannot still use link building to improve your search rankings. There is most certainly a right and wrong way to do it and here at Online Media Direct, we’re all about keeping things ethical. To keep you in Google’s good books, we’ve provided a guide on how to do link building for your website the ethical way. Link building is an SEO method that involves getting external websites and blogs to link back to your website. It is a tactic that has been proven to increase websites’ search rankings and drive targeted traffic. Before we delve into how you can build links to your website, it is probably best that we set the record straight as to whether link building is ethical or not. How we see it (and the majority of other reputable SEO companies see it) is that link building is ethical, providing you take the appropriate measures to build natural and relevant links that provide web users with value. As long as you develop a link building strategy that aims to build high quality and relevant links over time, there is no reason why you should end up in Google’s bad books. Where the problem lies, is if you use unethical or ‘black hat’ techniques to build links. Attempting to manipulate search engine rankings without providing value for users (in the form of paid links and link farms) is not recommended. Before Google set up algorithms like Penguin, many websites owners bought links from high authority websites as a way to boost their search engine rankings. Whilst this wasn’t illegal according to Google’s guidelines it did result in many websites being caught out and penalised once the algorithm came into play. Penalties came in the form of black listed websites and dropped rankings, which ultimately affected websites’ traffic levels. Even to this day, many websites affected by Google Penguin have still not fully recovered. Find out more about Google’s algorithms by watching the video below. When it comes to building ethical links to your website that are some general rules that need to be enforced. The first is no spamming. This basically means that you should refrain from posting your link on multiple sites, comment threads, forums and social media sites. The second rule is to concentrate on providing users with valuable content. The better your content is, the more likely it will be that other high quality and relevant websites want to link back to your website or blog posts. Links that have been built this way are considered natural and are the best type of links you can hope to obtain. Our third rule is to avoid over using anchor text as a way of optimising keywords. This is an out dated practice and will make your website content look like spam. Any keywords and links you create within your website content should be natural, relevant and of value to readers. You may want to consider incorporating long tail keywords into your link building strategies to generate more valuable results. It is essential that you follow the link building rules or you may face getting penalised by Google and other search engines. Black hat link building can lead to penalties, low search engine rankings and decreased traffic levels. You can find out more about what Google perceives to be ethical and unethical by reading their Webmaster Guidelines. There are a number of ways you build ethical links to your website, some of which we have shared below. 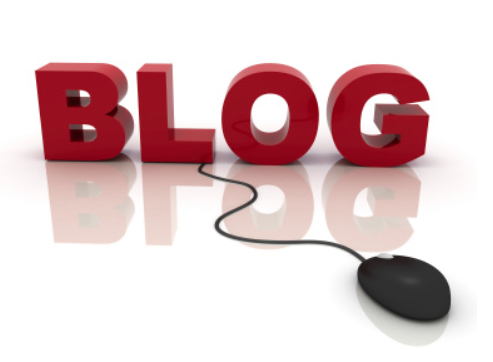 Guest blogging on other high authority websites is a great way to increase your search engine rankings. One of the best ways to build ethical links back to your website is by guest blogging on other blogs and websites. Always choose websites that are relevant to your industry niche and produce content of a high quality. This will not only get you a link to your page from a highly authoritative website but it will also get your content in front of the perfect audience. In order to secure a guest blogging opportunity you need to have great ideas and be capable of producing content of a high quality. 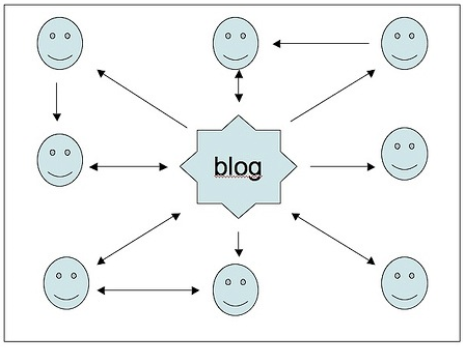 It is best to be transparent with other webmasters when you contact them about guest blogging opportunities. Let them know that whilst you are looking for a link back to your website, you can provide them with high quality, unique and relevant content that will appeal to their readers. You should also share examples of previous articles and guest posts you have created to prove that your content is of a high standard and will be of value to their readers. Follow their guest blogging guidelines and your guest post will stand a good chance of being published. Gain links from producing unique, interesting and relevant blog content. As well as guest posting on other websites and blogs, you should think about improving your own company blog. The better your blog content is the more likely people are to share it and link to it from their websites. This is a great way of building up natural back links, without you having to actual contact other webmasters. When it comes to creating content for your blog, it must be unique, relevant to your industry and written to a high standard. Offering a unique take on a subject or sharing your opinion on a relevant industry news story is a great way to capture readers’ attention and spark them to share your content with others. You should also think about the subjects that your target audience might be interested in reading about. What are their concerns? Are there any queries you can address within your blog posts? Creating content around your readers’ needs and requirements is the perfect way to build links and drive traffic to your website. 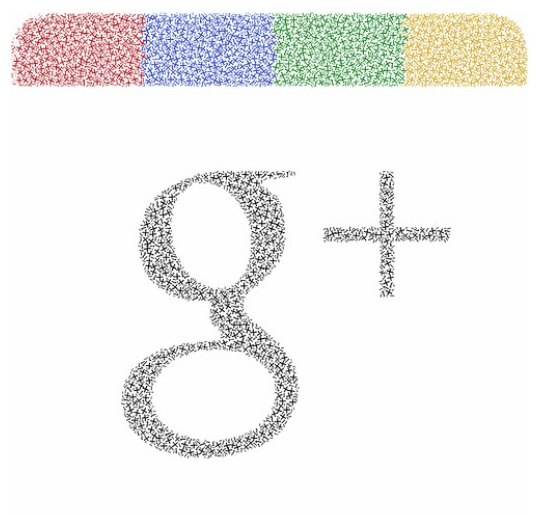 +1s on Google Plus count as links and pass equity. Sharing links to your website and blog posts on Google Plus is a great way to improve your link building strategy. Whilst we’re on the topic of creating quality content, it is worth mentioning that Google+ posts pass link equity. This means that if you share your website or blog content (with a link back) on Google+ and it is re-shared numerous times, you will be building good quality, ethical links back to your website. Of course you don’t want to just bombard your Google+ followers with all of your website content. Make sure you share other relevant content too and people are much more likely to engage with you and share your content with others. Creating content that is of value to other people such as white papers, videos and e-books on niche subjects is a great way to increase links to your website. If your content is useful to people, they are likely to share it with others on their own website (with a link back to your website) and their social media pages. The more links you get from relevant websites with high authority, the more likely it is that your website will be ranked higher. Getting links from highly authoritative websites will suggest to Google that you are an expert in your industry, which will count in your favour when it comes to ranking your website. For more ethical link building ideas, see the video below. If you are presented with a link building opportunity, you should take time to evaluate whether it is actually a good opportunity for your website or not. If the link will help to create value for web users, then an ethical link can be obtained but if you are being asked to pay for a link or get involved in a link scheme, you should stay well clear. It is not worth participating in black hat SEO as it could lead to a drop in your website rankings. One of the best ways to evaluate a link building opportunity is to ask yourself whether you would be comfortable sharing what you had done to improve your website ranking with a client. If the answer is no, then it is a sign that what you are considering doing is unethical. When it comes to link building, there isn’t a specific number of links you should aim to get. Rather than concentrating on how many links you can build to your website, you should think about the quality of those links. Are they coming from high quality and relevant websites? It is much more beneficial to your website’s SEO to build quality backlinks over time than create hundreds of low quality links in a short period. Spreading backlinks over time and concentrating on their quality will ensure they look natural to search engines, preventing you from getting penalised. Before we conclude our article on ethical link building, we’ll first do a quick recap on the link building practices to avoid. Steer clear of these link building methods and there is no reason why you should ever get yourself in trouble with Google or one of the other search engines. Buy links and you are asking for Google to drop your rankings ! Avoid paying for links. This involves exchanges of money and goods. 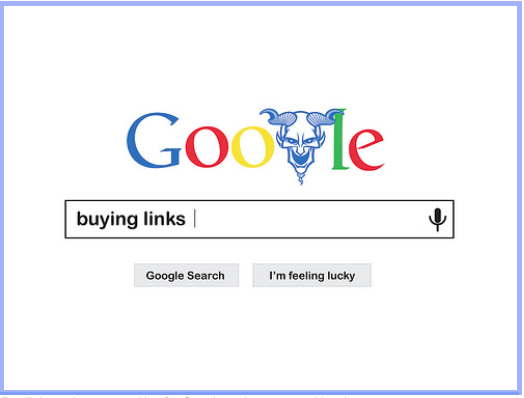 Paying for links is deemed unethical as it suggests you are trying to unfairly manipulate search engine rankings. Link exchanging works if the website is of a high quality and relevant to your industry, as you are likely to share the same target audience and will therefore be providing them with a link of value. However carrying out link exchanges to improve search engine placements with random websites is most definitely frowned upon. Producing articles and guests posts for other high authority websites and blogs is great, but do not stuff them with keywords and over optimised anchor text, as this will make your content look like spam. Instead focus on creating quality content that is interesting and of value to users. Getting links from poor quality web directories will not do your website any favours and it certainly won’t help to improve its position on relevant search results pages. Submitting your site to a poor quality directory will suggest that your website content is of an equally low standard– not the impression you want to give users or search engines. If you are currently developing your SEO strategy, it is definitely worth considering link building as a way to increase your website’s rankings in relevant searches. This will only work however if you take an ethical approach to building links, keeping users in mind at all times. When building links to your website, always put quality above quantity and aim for value. Try and build links with relevant websites of a high quality that share your target audience. Build links ethically and you will be well on your way to improving your search rankings and increasing your site’s online visibility. 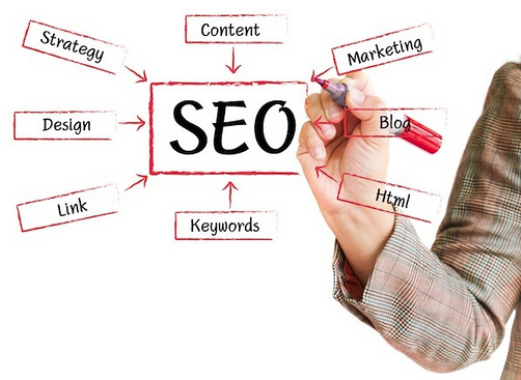 For advice on link building strategies, please get in touch with one of our SEO managers. Online Media Direct strictly specialises in white hat SEO practices, ensuring clients gain ethical results that have a long-lasting and positive impacts on their businesses.